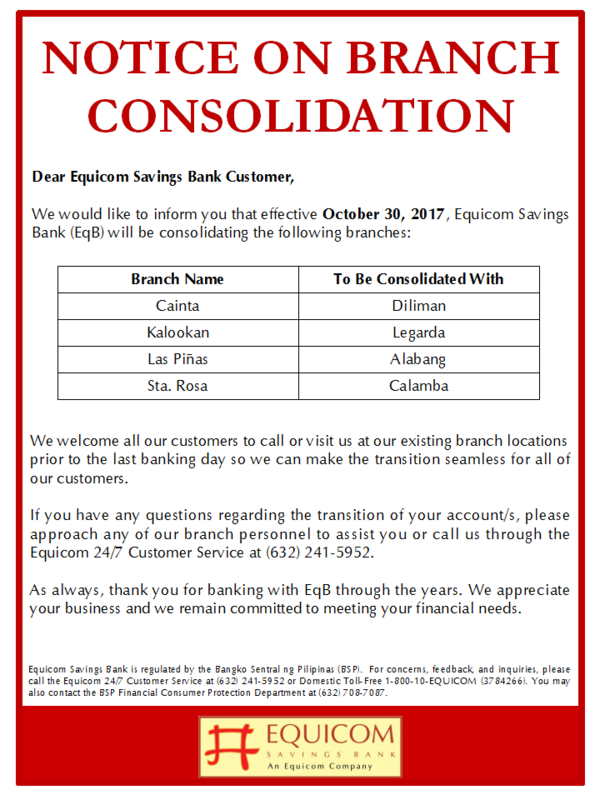 Equicom Savings Bank has announced that selected branch offices of the thrift bank will be open during the Holiday Season to provide regular banking and financial services to its depositors and clients. 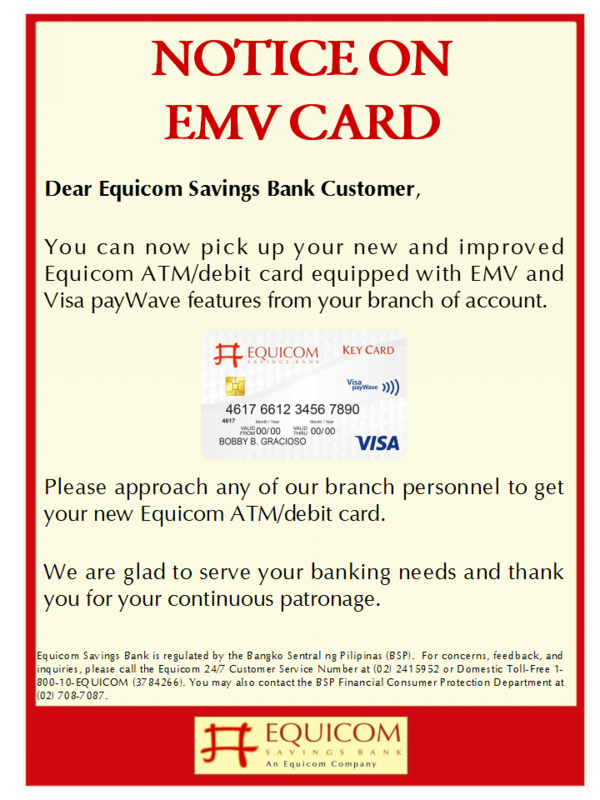 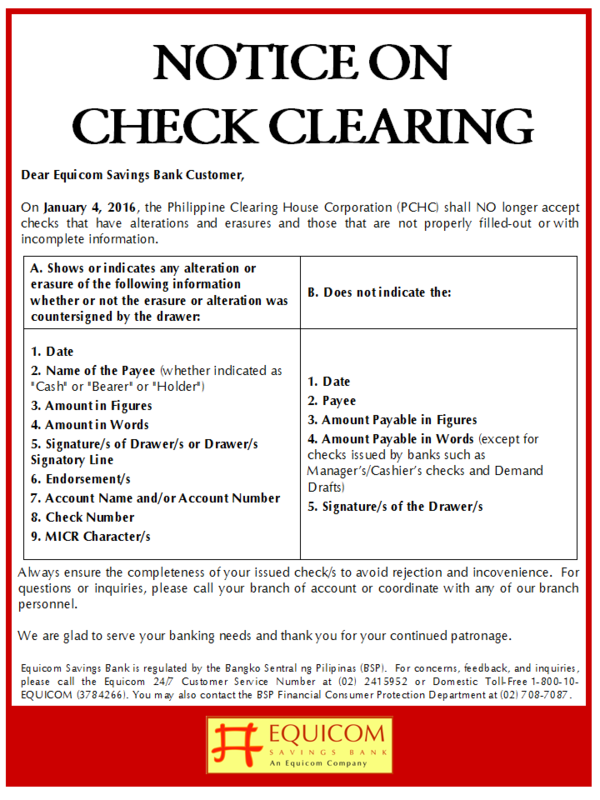 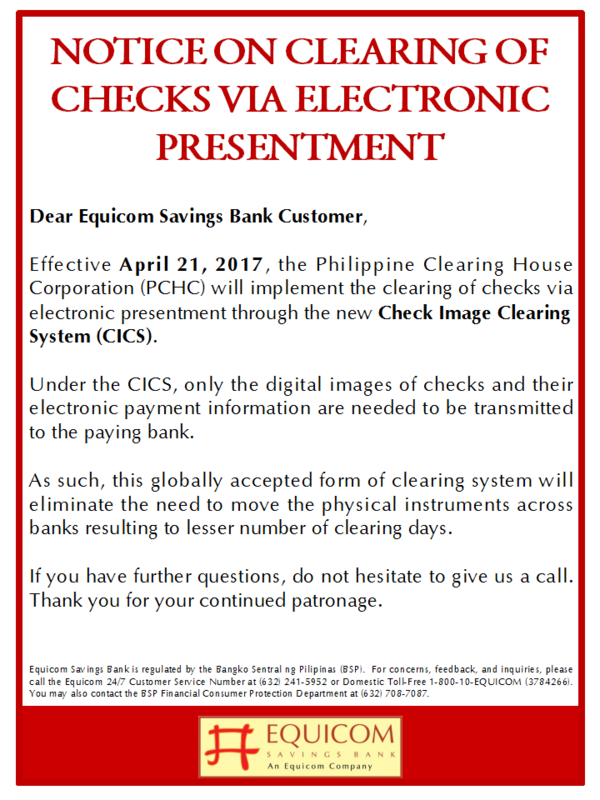 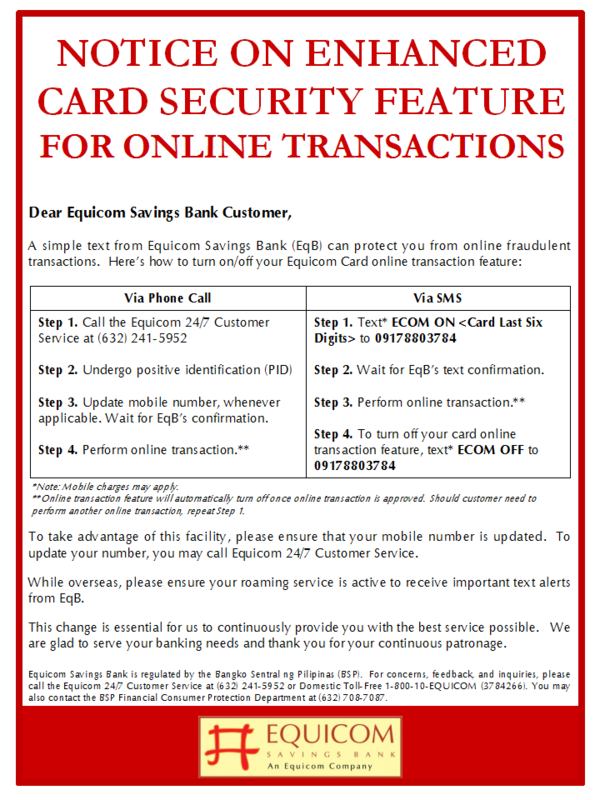 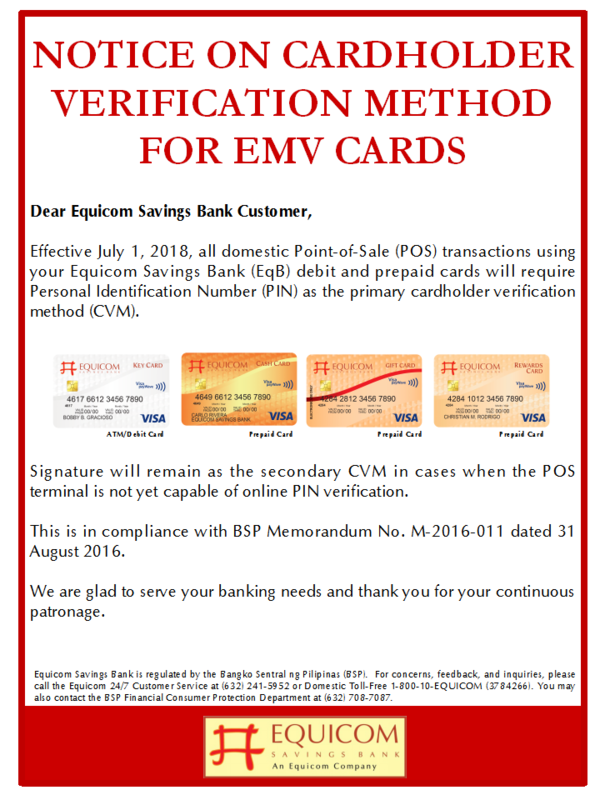 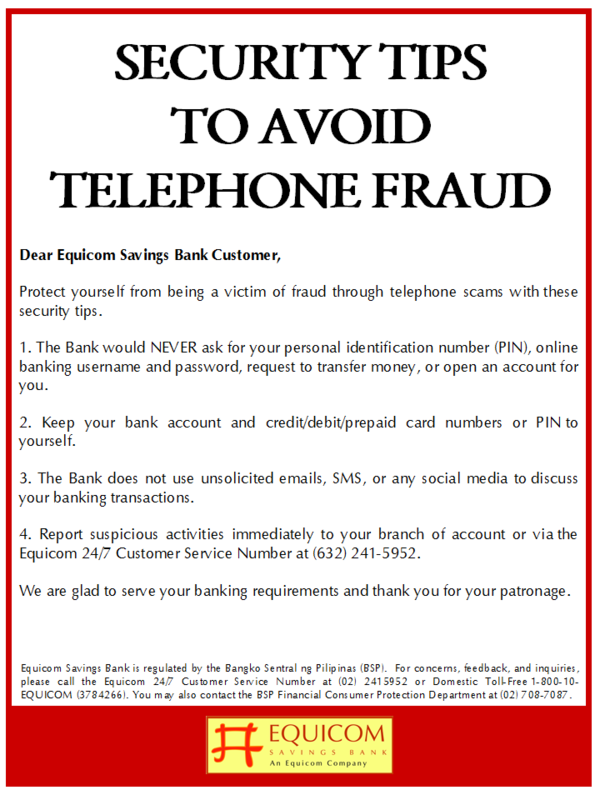 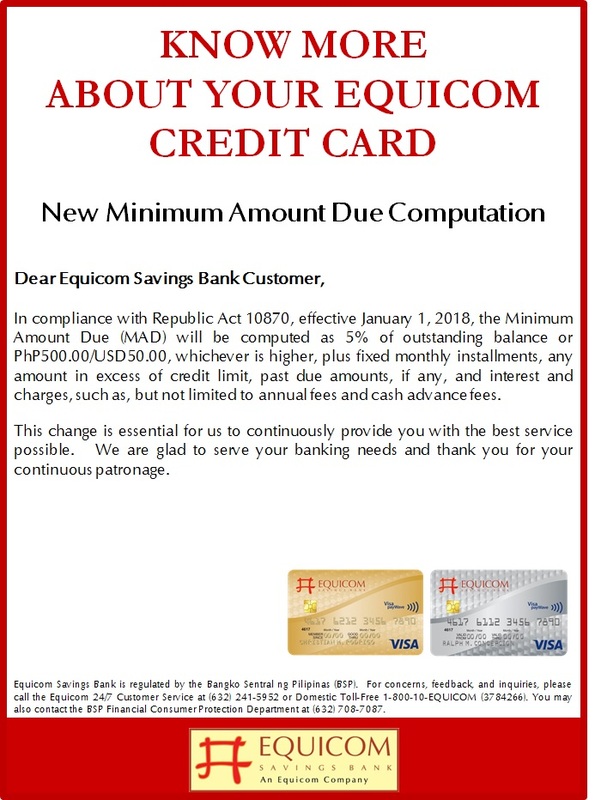 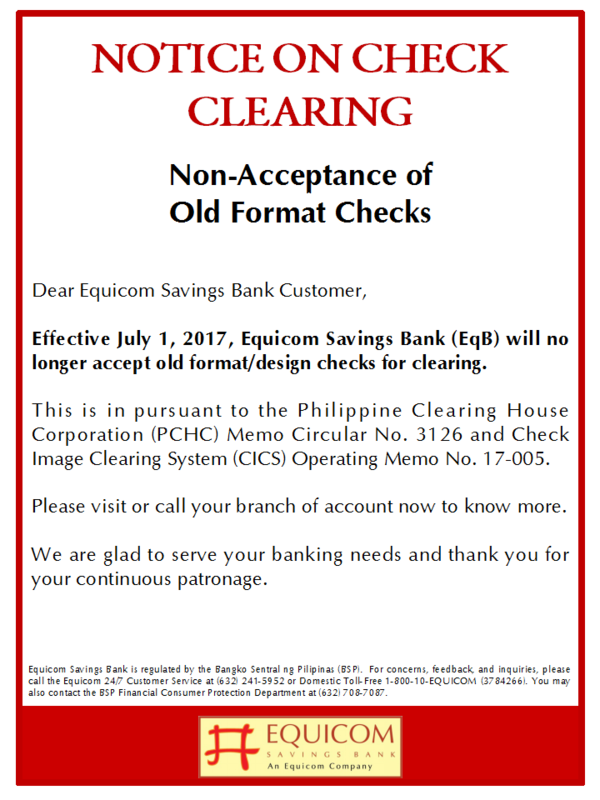 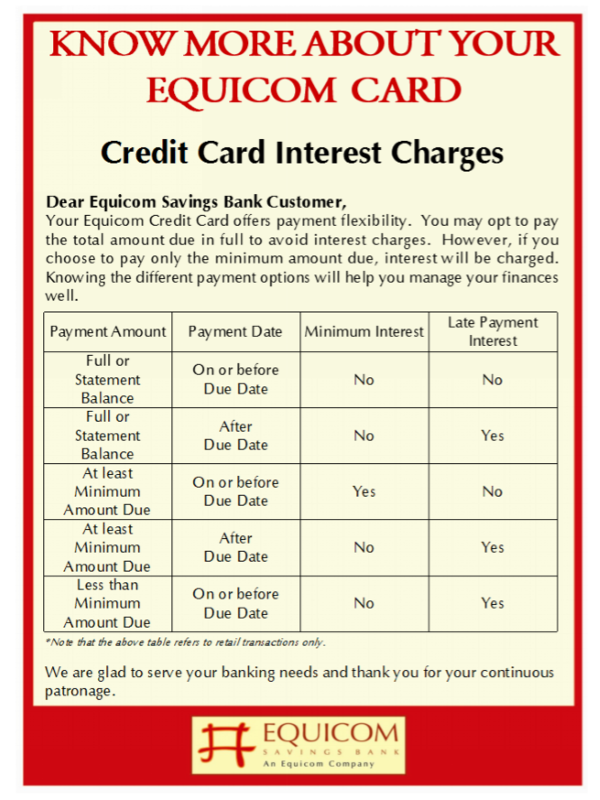 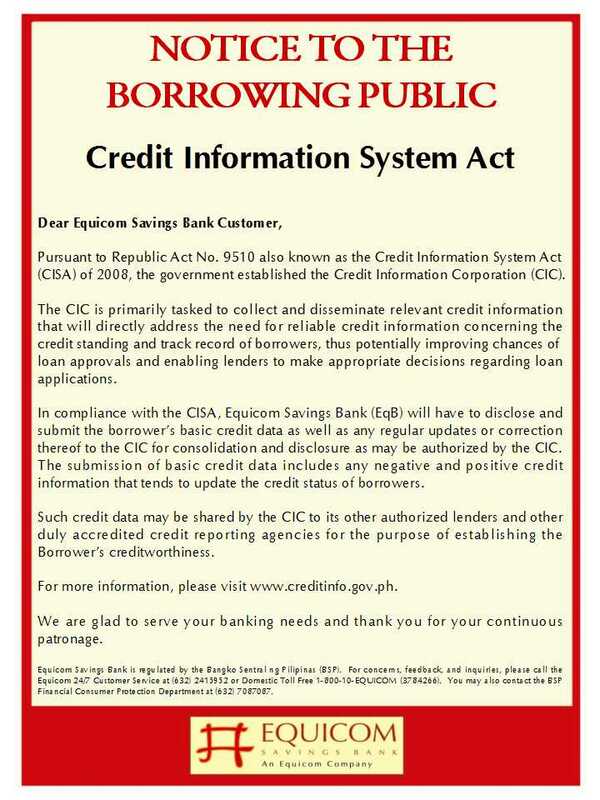 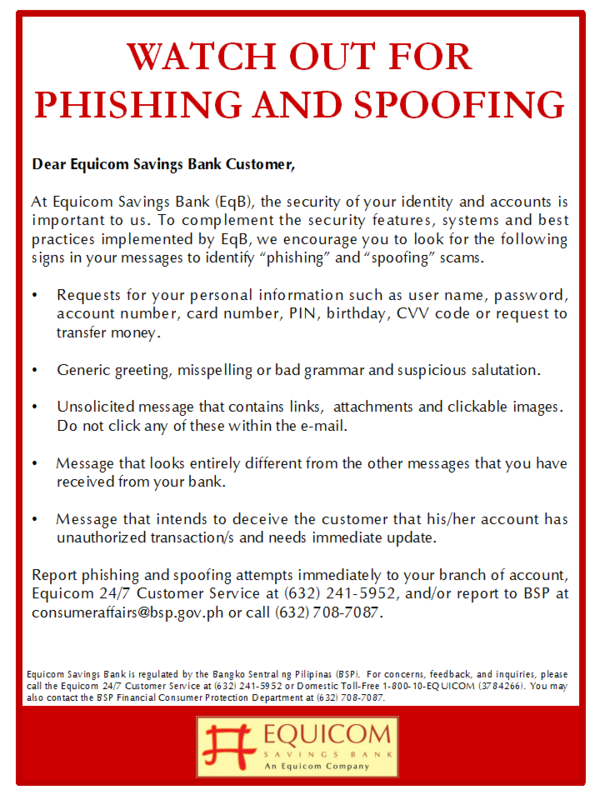 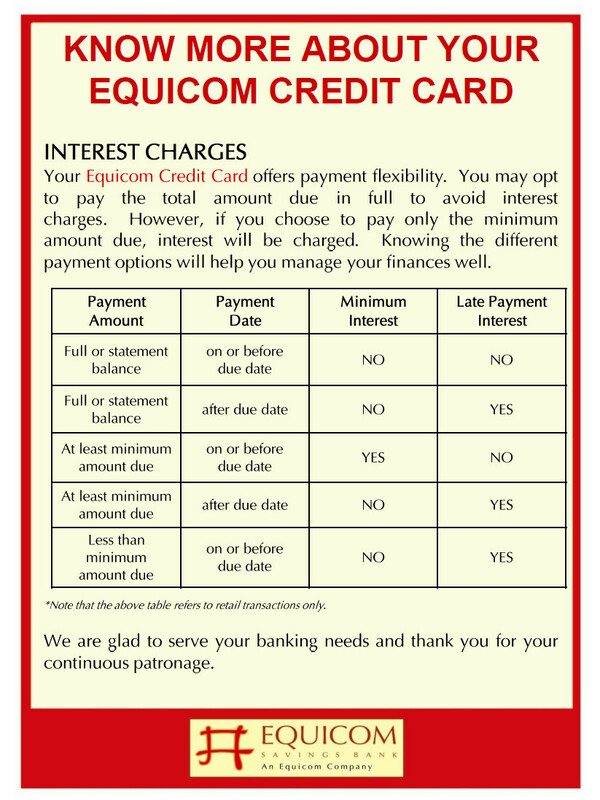 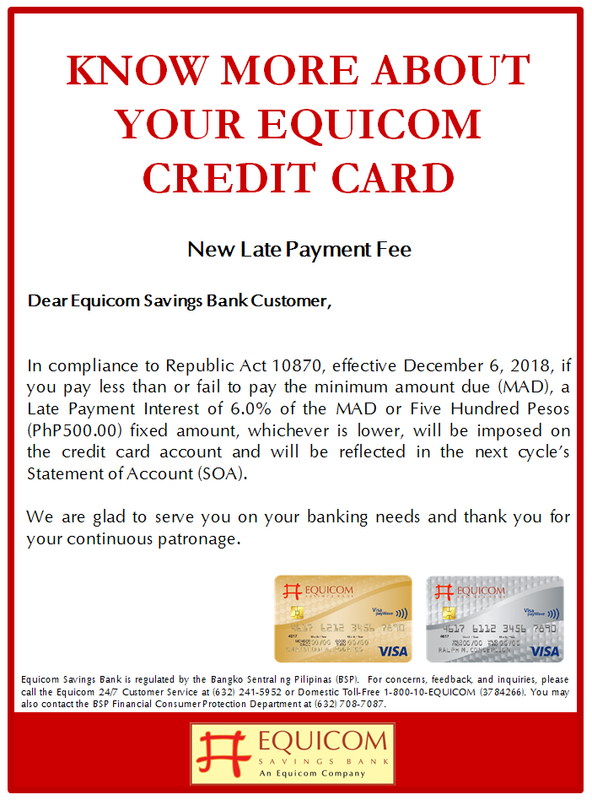 To remain operational on December 31, 2010 are Equicom Savings Bank branches in Calamba, Sta.Rosa, (Laguna) Las Piñas, Davao, Cebu, Mandaue, Iloilo and Cagayan de Oro. 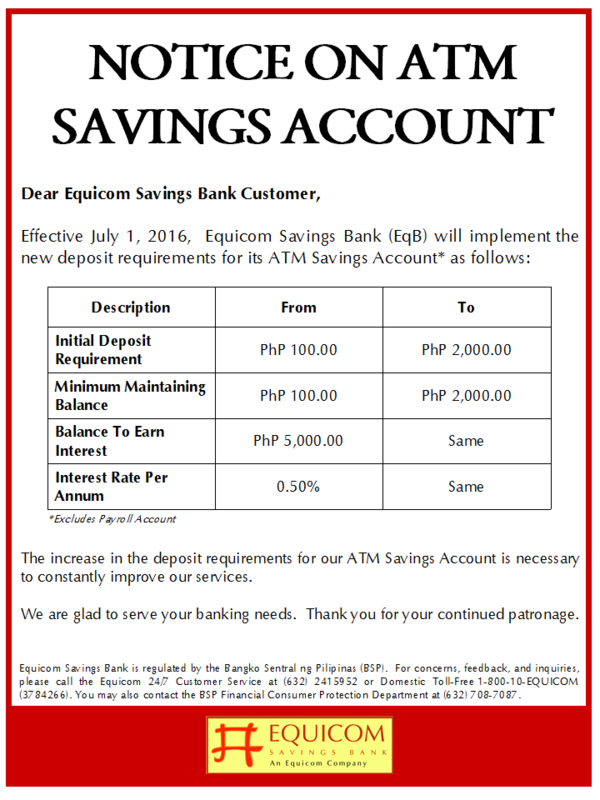 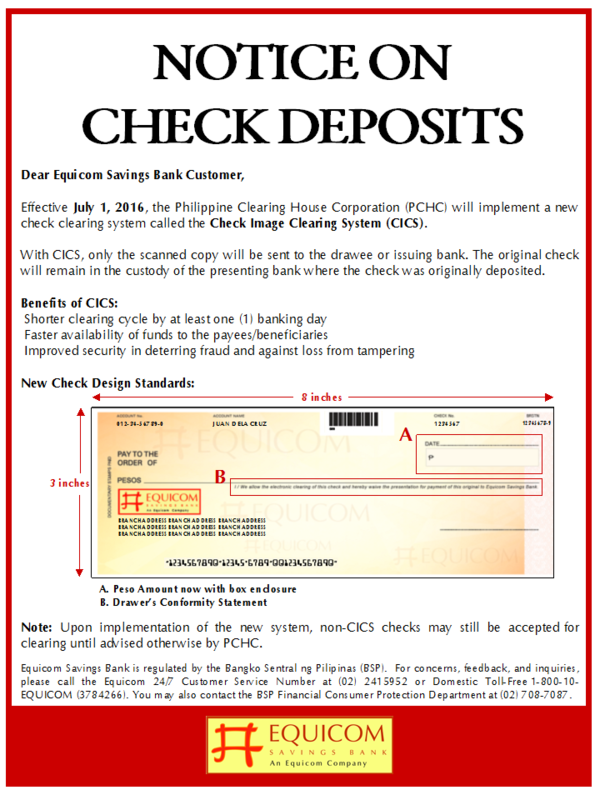 Banking hours will be from 9.00 am to 3.00 pm except for Iloilo branch which will be open from 10.00 am to 4.00 pm. 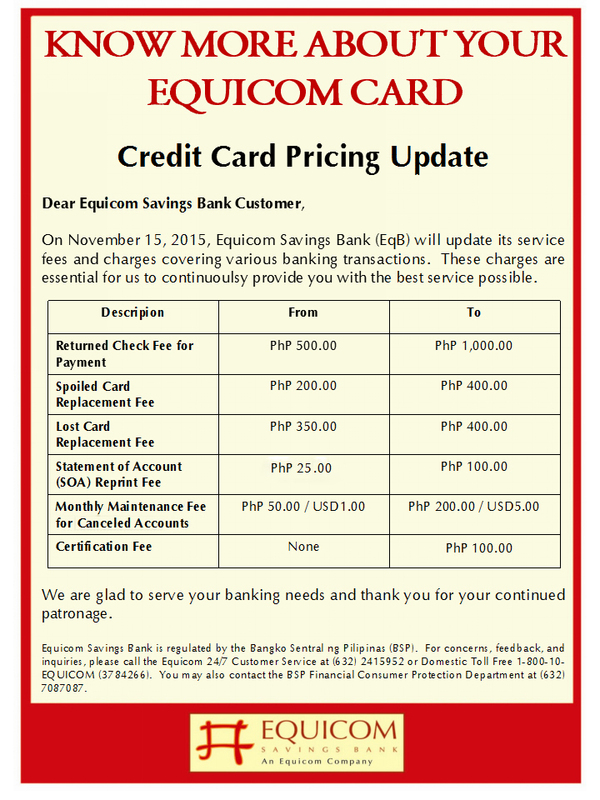 These branches will provide regular banking services to its clients before the start of the New Year holiday break. 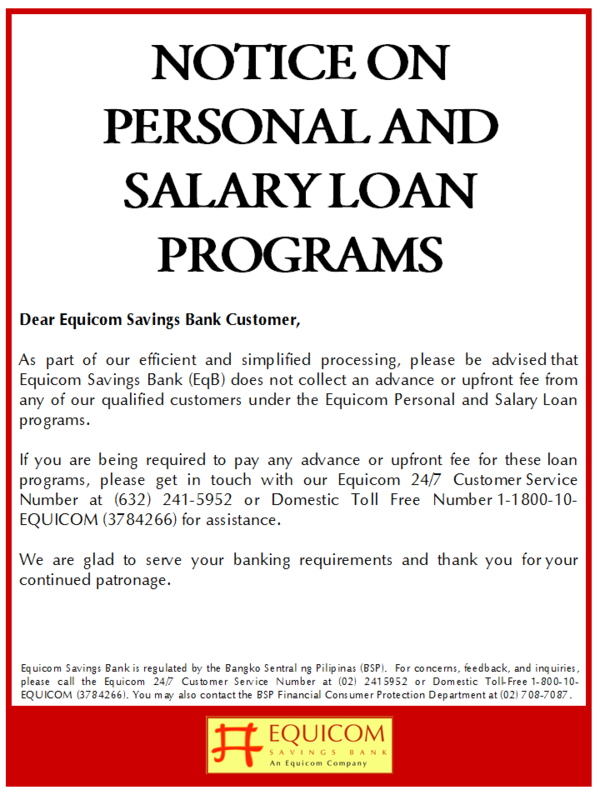 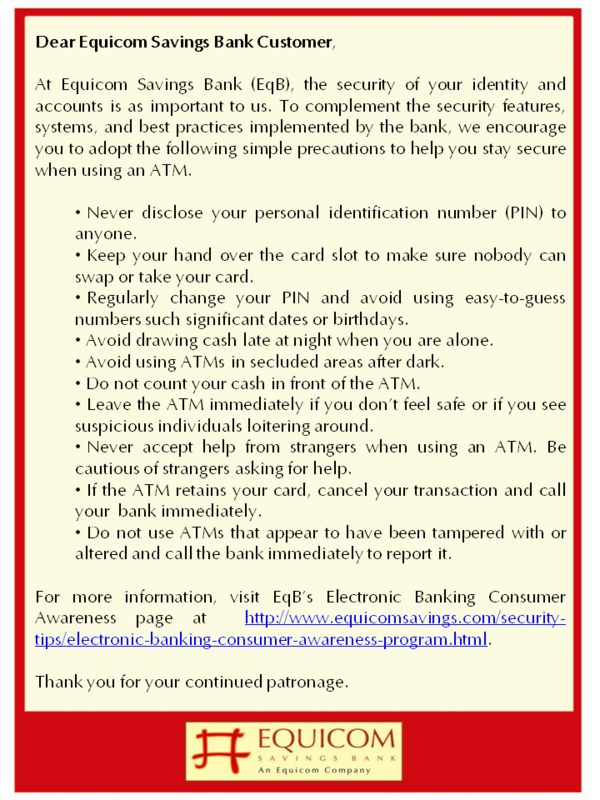 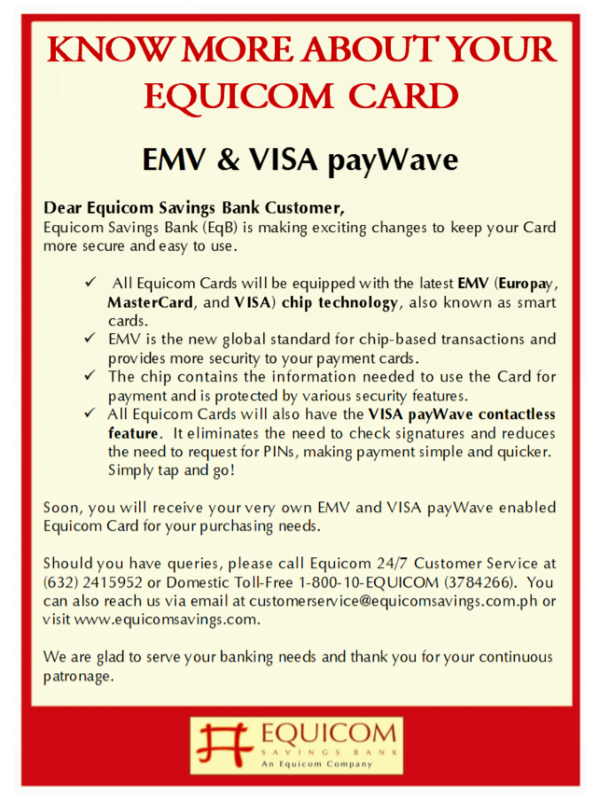 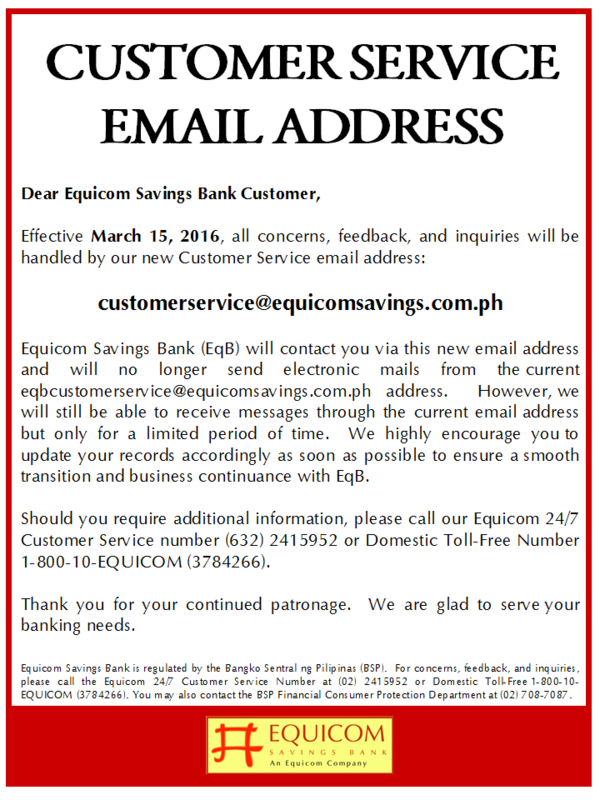 Regular banking operations of all Equicom Savings Bank offices will resume on January 3, 2011.